In the late 80s and early 90s on any given Friday night, you'd find me with my Mom, Godmother and brother. We would go out for dinner and make sure we'd be home by 8 pm for the start of TGIF - one of the greatest line-ups in all of television, anchored by Full House. The same age as Stephanie Tanner, I immediately identified with the show. I loved to dance. In grade four, I totally had a crush on my teacher. I didn't get invited to any make-out parties though. A couple of years ago I found Candace Cameron-Bure on Instagram and it was like finding an old friend. 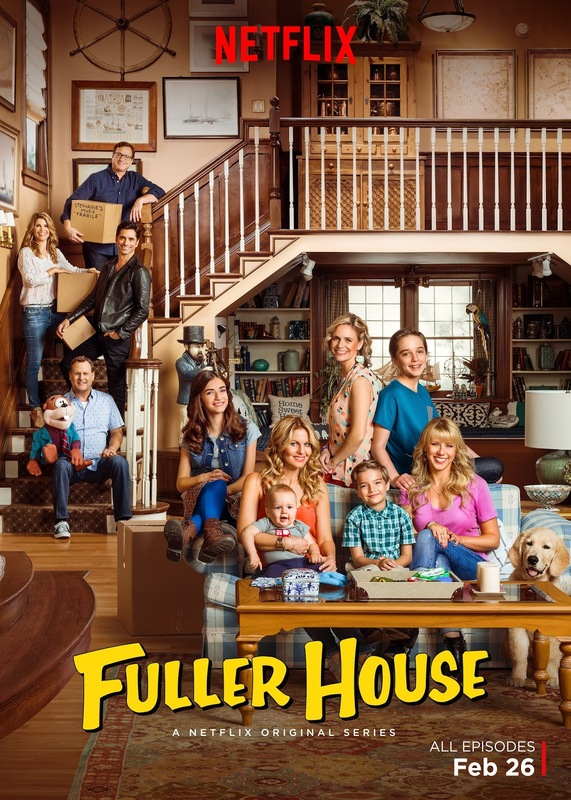 So when Fuller House was announced as a new original show on Netflix, I completely lost it. And this week, as a member of the Netflix #StreamTeam, I was able to access the first six episodes of the rebooted series. On February 26th, the entire world will be introduced to the Fuller family and given the opportunity to binge all the episodes at once, Have Mercy! I'm not going to go into specifics (I'm not allowed to), but they somehow created a show with the same characters we loved back then, living their lives completely in the now. There are nods for old fans, but new fans (like my kid) will also really enjoy watching. "That baby is really cute!" "Ha ha ha, that's funny!" "I really like this show Mommy, can we watch another episode?" "Man, I missed this show." "I'm so happy it holds true to Full House." "GAH! My six episodes are done? Is it Feb. 26th yet?" Of course, the family still has incredible luck with celebrities and get into unbelievable situations, which of course result in hilarity. And it definitely has the heart and lessons of the Full House - as a single Mom, for the first time ever, I find myself identifying with Kimmy Gibbler when she shares her thoughts and emotions while parenting her only child. (And OK, maybe I'm slightly stuck in the 90s too). I can't wait to share specific thoughts after Feb. 26th! Five more sleeps!